Janice Dickinson spoke about allegedly being raped by Bill Cosby long before it was picked up by main stream media. 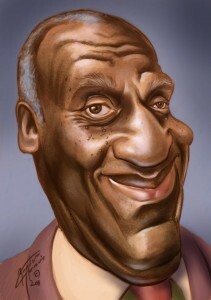 Dickinson insinuated to being wronged by Cosby in a 2006 interview with Howard Stern. “Bill Cosby was the only guy I couldn’t write about in the book because Harper Collins was afraid of a lawsuit,” Dickinson says in the tape. Dickinson is the latest in a growing list of women who assert the comedian similarly drugged and sexually assaulted them. Cosby was asked during a recent National Public Radio interview about these allegations but he refused to answer any questions, choosing instead to remain silent and shake his head.